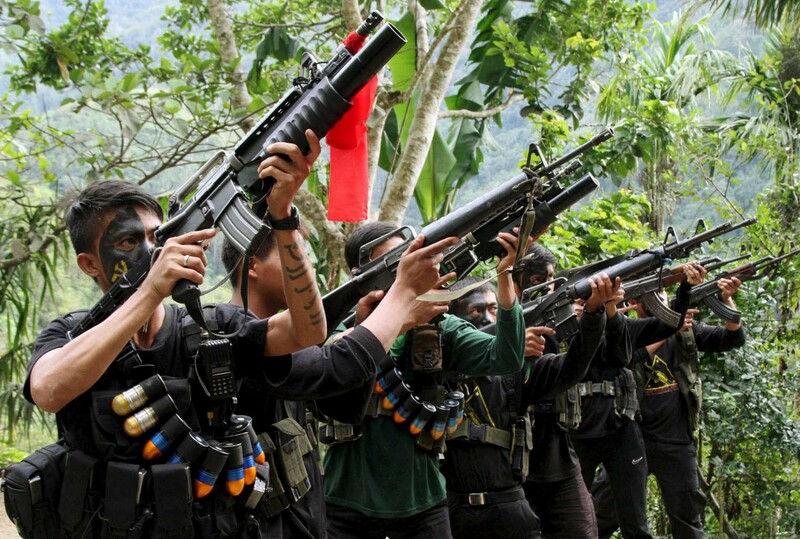 Being a part of the NPA involves one of the lifelong and ultimate task of a Communist. This task is to proletarianize. It is the task of a cadre to criticize and self-criticize, to rectify his errors and mistakes as a Communist, and dispose his bourgeois tendencies in favor of being a proletarian. This task is a duty that cannot be easily done, said Ka Jerry, one of the comrades that I have talked to who is part of the NPA. For her, it is a lifelong task that she still needs to accomplish, despite being years within the NPA. But even if proletarianizing within the NPA alone is a lifelong task ever so hard to do for Ka Jerry, she tells a story that was perhaps harder for her — and that was during her time preparing to join the People’s War in the countryside. Her life as a petit-bourgeois student was that of like a regular student within a university. Being a student who studies well and able to push through her studies, she, indeed, was someone who would be called a “good” student within the school. On the other hand, within the campus are militant organizers from different mass organizations, which taught her about the national democratic movement. From then on, she started to take educational discussions (EDs), which discussed the issues of the Philippine society and the toiling masses. She then began to start taking the fight to the streets during mobilizations, and started to do mass work — going room-to-room and recruiting students, too. Marching to the streets is something that she could do. Likewise, taking EDs and studying the Philippine society. However, one that she finds hard is going room-to-room to recruit and explain what goes around the society. Not that she finds the system complicated, but because she was shy and was full of reservations. “That was a petit-bourgeois tendency,” she would now say as a comrade who now continues to self-criticize and rectify herself in order to proletarianize. It was hard for her to overcome this, so much so that even after she started to be a part of the NPA, she was really shy and would even be exhausted and unsettled when trying to talk with her fellow members within the NPA during the early days. From being a militant activist during her early days in the movement, she then progressed to become a mass leader. She went on and focused more on her responsibilities as an activist, hence, she gave up her studies in the bourgeois school and became a full-time activist. But she felt that all that she was doing was never enough. Therefore, she began planning on taking part of the highest form of struggle — taking part of the armed struggle in the countryside. It took her months to take this idea in her mind to become a full conviction. When her decision became firm to be part of the NPA and rectify, she overcame the contradictions surrounding her plan with all that efforts that she can exert. She would say, too, that a part of the reasons why she has the full conviction to rectify is, of course, the toiling masses. To rectify oneself is to offer more of what you can to the masses. Militant activists of today — especially those that have come from the same class as Ka Jerry — know the struggles of facing family members and relatives. Often, they are red-tagged and called terrorists. When it comes to the family, their parents or elders would often warn them about activism, and how a dangerous it is to be one in days of crisis. A lot of middle class parents would often try and convince their militant children to stop joining mobilizations, as protesting would only lead to nothing and is just so unproductive. However, these kinds of reservations were far more stricter when Ka Jerry then told her parents that she had plans of joining the People’s Army. She expected what they would say, and her expectations were right. Her parents were angry when she opened up in joining the fight at the countryside, and there were attempts not to let her go from leaving. But for her, serving the people in the extreme form of struggle is priority. Despite what her parents said and with how strict they were, her attempt to join the armed struggle came to success when she was able to leave for the countryside. Before she left, there was no intensive discussions with her family. All she left was a letter, saying that she left. In honor of the people. In honor of the revolting masses. Her departure from the city was also her departure from the daily life within her biological family. But even if she left her family in the confines of their home, she was warmly welcomed by her new family at the countryside. “Here at the countryside, you do not just have a single pair of mother and father. Here, your comrades are your caring mothers and fathers and siblings.” This is how she explains the family that welcomed her. A family that offers itself for the greater good of the society, but does not neglect the necessities of its members. At certain times, she still contacts her family that she has left at the city. Even if she is a part of the NPA for more than 2 years now, her parents still ask her questions if she has a plan to go down from the countryside and return to the life of a petit-bourgeois. She always declined since. Ka Jerry still attempts to explain and do mass work to her parents, nevertheless. If she has the chance to contact them and ask how they are, she doesn’t take away the part that she explains the armed struggle. She never gives up, just as how she doesn’t give up in trying to explain to the masses the importance of the revolution. She believes that despite the current stance of her family is towards the revolution and the armed struggle, she is optimistic that eventually, the progress of the revolution itself will be the one that will explain to her family and to many more families the importance of what she is fighting for — what the masses at the countryside are fighting for. There might be lot to learn from her after hours of casual talking and story sharing with her and her comrades, but she would say that there is much more knowledge to learn — a lifetime worth, even — within the New People’s Army. And as someone who continues to rectify and proletarianize, that is an important aspect. Ka Jerry became more aware of her petit-bouregois tendencies when she began to join the armed struggle. Not only awareness, but she asserts that rectifying is much more effective when you take part of the highest form of struggle. For someone who then came from the petit-bourgeoisie, Ka Jerry reminds her comrades and the visitors to ever fight tendencies stemming from the culture of such social class, in order to serve the people and the revolution. Indeed, to free ourselves from this social class and its culture is in itself an act essential towards the progress of the revolution. The New People’s Army is a four-part series that discusses the stories of the cadres of the armed wing of the Communist Party of the Philippines. This is in celebration of the golden 50th anniversary of the CPP, and how it continues to push forth the People’s War at the countryside. Photography was not allowed within the NPA camp due to security reasons, as suggested by the local officers of the Army. A collection of writing about everything I find interesting.